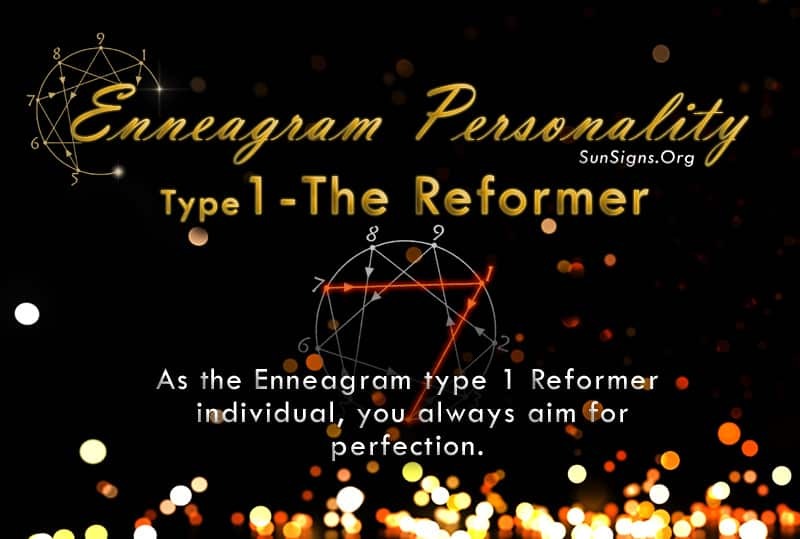 As the Enneagram type 1 Reformer individual, you always aim for perfection. Nothing is ever good enough for you. You as a person are always wanting to be right in everything that you do in life. You aim to be able to gain that calmness which is necessary to be truly perfect and flawless. You are person of high ideals. You thrive on having a purpose to fulfill. You tend to be full of energy and a perfectionist in whatever you do. And along with this comes an urge to control everything in your life and relationships. (Find out if you are dating a control freak). As an Enneagram personality type 1, your basic desire would be to seek out the truth, and to do all the correct things in life. Every action that you undertake, every little thing that you say and even think about, should be correct. It should follow the socially accepted norms and principles. Otherwise, you tend to run haywire and are really at a loss to understand what to do in life. You feel completely satisfied and at ease with yourself when you feel you are doing the right thing. You are a hard worker and strive for perfection. That is why this Enneagram type 1 person is also known as the Perfectionist. People who are your friends probably know, you like your perfect actions and thought process to be acknowledged in life. You like others to thank you if you provide them with sound advice. You expect others to be fair and considerate just as you are. Another good observation about you is that you are usually able to analyze a situation quickly and come to the best possible solution. Being a highly principled person, your conscience pricks you when you know you have done something incorrect. Your friends know that you expect them to cheer you up in case you become gloomy and pessimistic at times. The Enneagram Type 1 Reformer personality basically view the whole world as a place, which is highly imperfect and full of irregularities. Somewhere you fear of being wrong, evil or vulnerable. On the flip side however, you are sometimes disappointed with yourself, when something has not been achieved according to your standards. This naturally makes you pessimistic and depressed. Such a reaction is also common when others do not perform as per your standards. It’s very hard to please you as the Boss in office. In fact, this tendency to take things too seriously, may sometimes land you in ill health, and tension related diseases such as acidity, headaches, indigestion and even cardiac problems. You are likely to make an ideal parent who teaches his/her children high moral standards, and principled living. You are consistent and fair in your family approach, and your children are likely to inculcate good habits and be highly disciplined in life. The Enneagram type one personality also have this innate fear that if you do not do the right thing, you might be condemned in some manner by your peers or even society at large. However, you should tone down the tendency to correct the actions of others, since you cannot force yourself upon another person. This happens because you try to be the best and also bring out the best in others.